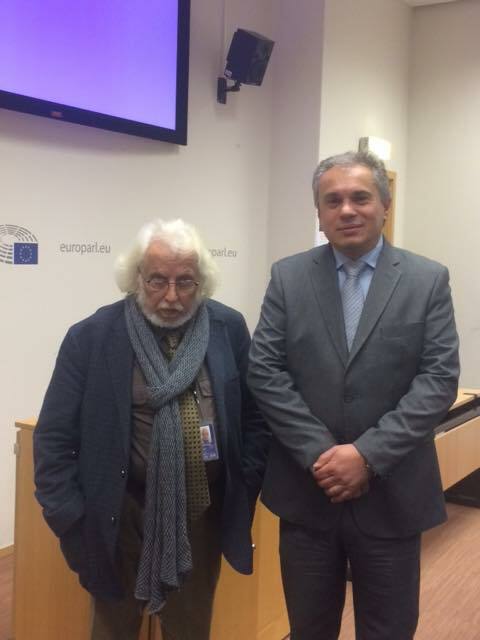 MEP, Mr Georgos Grammatikakis, met in Brussels with EHICA and the Founder & President of the Association Mr. Vasilis Stathakis, (25.11-28.11). Mr. Stathakis attended an event in the European Parliament, but also had meetings with MEPs to inform them about the new initiatives of EHICA. During the trip, Mr Stathakis had the opportunity to meet with the Vice-President of the European Parliament, Mr. Dimitris Papadimoulis, who showed great interest in the initiatives of the Association, and stated at the same time that he will help the efforts of EHICA. 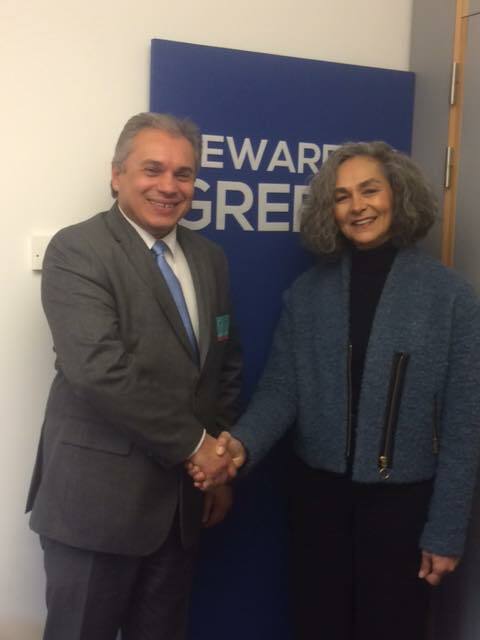 Also, Mr. Stathakis had a meeting with the independent MEP, Mrs. Sofia Sakorapha, who supports every action of EHICA. Mrs. Sakorapha once again stated her intention to help in any way the future actions and initiatives of the European Historic Cafes Association. 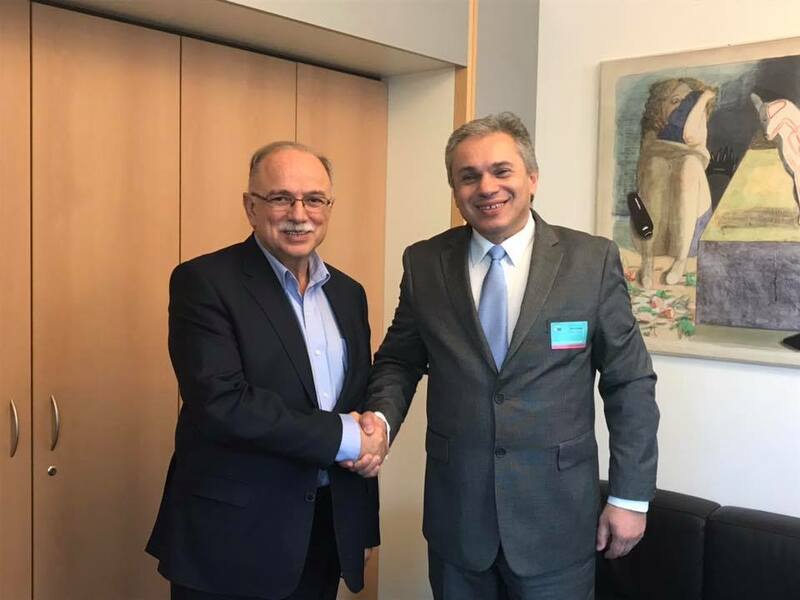 Mr Stathakis had also a conversation with MEP George Grammatikakis, who was, from the outset, a strong supporter of EHICA and its objectives. 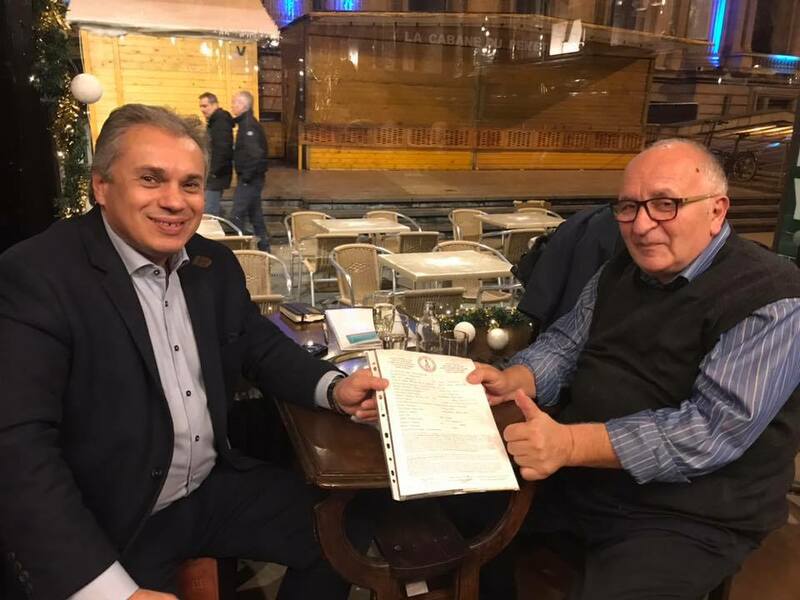 Finally, on his trip to Brussels, EHICA had the pleasure and the honor to welcome as a new member of the Association the Historic Cafe “Le Cirio”, which is located in the heart of Brussels and has a history that goes back in 1886! Indeed, according to testimonies, it is the oldest Cafe of Brussels. 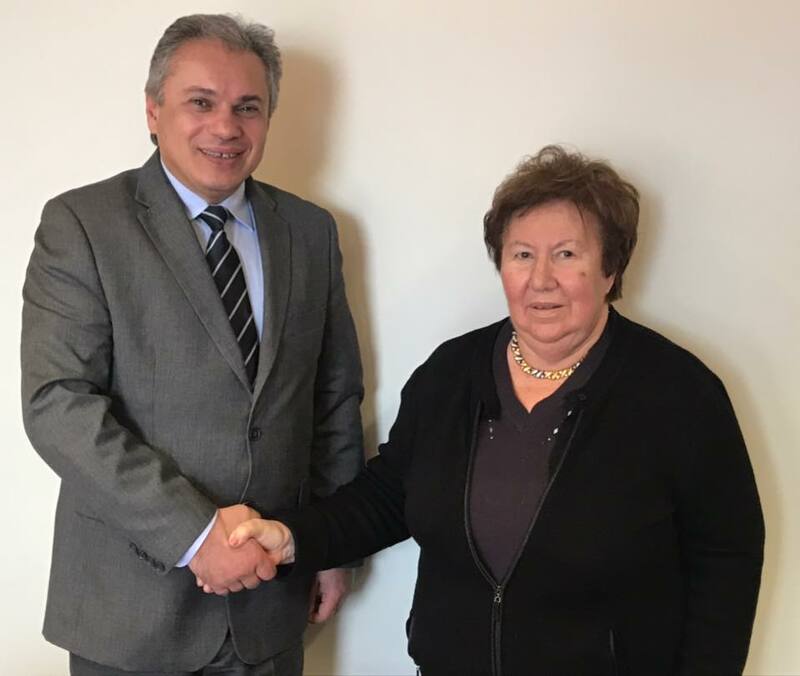 On his return to Athens, Mr. Stathakis had a meeting with the President of the UNESCO Greek Section, Mrs. Aikaterini Tzitzikosta, in order to inform her of all the new initiatives of the European Historic Cafes Association.